If owning a brand new home is your dream, look no further! We have access to numerous newly constructed homes and are affiliated with several well-known contractors in the area. You won’t regret your home buying decision as you walk into your brand new home and smell the fresh paint and feel the soft carpet beneath your feet. With limitless designs to choose from, you are certain to find the perfect home that fits your specific needs. If you are interested in designing your own dream home, let us know! We can put you in touch with some of the finest contractors in the area. Designing your home can be a fun and exciting process and is the best way to ensure you have all the amenities that you need and want in your home. You will be the first to make memories in your home that will last a lifetime. 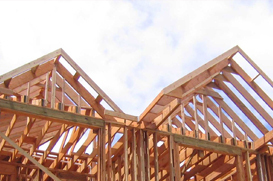 There are many different styles of construction available in Southern Utah area, and a real estate agent can guide you through the complicated process. Our experienced team can assist you in the home buying process. We are anxious to speak with you and hope to hear from you soon.